Intrada's latest release is from Universal Studios' thrilling 1999 adventure The Mummy. Composer Jerry Goldsmith wrote and recorded nearly 100 minutes of music with nods to his beloved action-and-suspense vernacular of the late ’70s and early ’80s, an era he seldom looked back upon by 1999. By the '90s, Goldsmith was usually rooting his rhythmic ideas in heavy doses of electronics. Here, however, Goldsmith revisited a musical language he had largely moved away from, using real percussion and low brass and strings to deliver almost all the rhythms. And to emphasize the Egyptian locale, Goldsmith employed the exotic color of a bouzouki, a mandolin-like, Greek instrument to provide regional color. 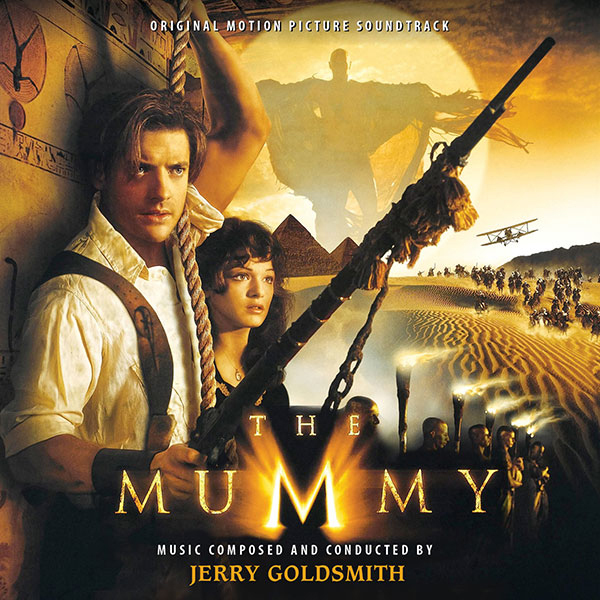 In the end, The Mummy was one of the biggest box-office successes in Jerry Goldsmith’s career. At the time of the film's release, Jerry Goldsmith and engineer Bruce Botnick selected 57 minutes of highlights for the album, electing not to use anything from the middle of the film, eschewing all of reels 8, 9, 10 and most of reel 11. As a result, several sensational cues were not included on that Decca album, including some of the most exciting and dramatic sequences in the score. For Intrada’s complete score presentation plus alternates, Botnick has prepared brand-new digital two-track mixes using the 48-track session masters. For the complete Decca album presentation, Intrada used the digital two-track album master. All source material was housed in the vaults of Universal Pictures in pristine condition and has been used in the preparation of this release with their kind permission. THIS IS AWESOME, REALLY... REALLY AWESOME!